The jewelry world has witnessed massive transformation in the recent past with many people opting to use modern beads among them European beads. You might as well be lured into the same trend but it will be good you first understand what you are dealing with. Some people have limited knowledge about these beads but you should be an exception. Seek all the necessary information about the beads to make sure you are not ignorant of what you are working with. 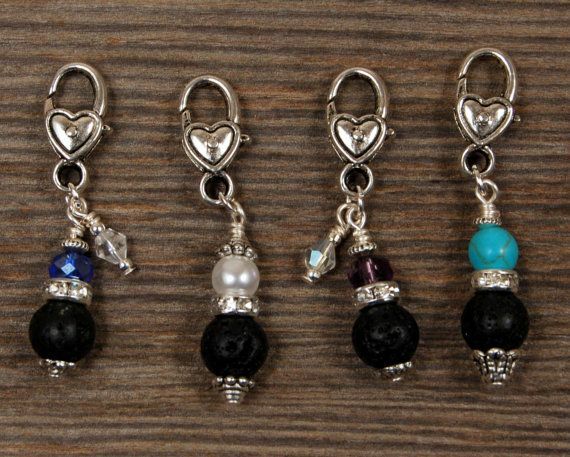 For beginners, European beads are known to be large in size which corresponds with the size of the hole. That makes sure one can accommodate all types of stringing materials regardless of size. They are very flexible and good for a jewelry project. The beads are largely three dimensional and that means they have unmatched charm and beauty. You might as well be interested to know that European beads come in very many types to allow you choose the best one for your project. You can get those that are silver plated, gold, glass, sterling silver, solid gold and many other materials. Their details are intricate and you will get some encrusted with either rhinestones or gemstones. If its shape, you will come across European beads of any shape that you want to have and will match your apparel in the best way. Common shapes in the market are star, fruit, flower, barrel, abacus, rondelle, oval, flat round and round. There will be no excuse for not getting the shape that you are interested in because all these options are available. Do you know that you can ask for a shape and design you want? Yes, that is why customization with European beads is a key possibility. Very few other types of beads will offer you such a privilege. 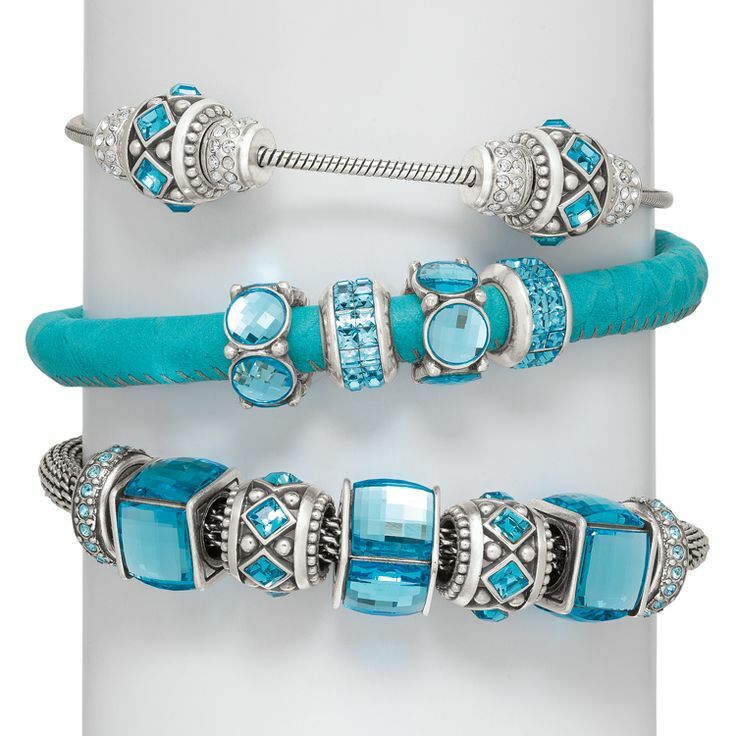 Generally, it’s very easy settling on the ideal beads for your bracelets. But, you must give more concerns to the size you choose since they mostly come in large sizes that will not always be suitable for your jewelry project. Why does size matter that much with European beads? Well, it’s for the simple and logical reason that you must come up with a bracelet that is of your preferred size. 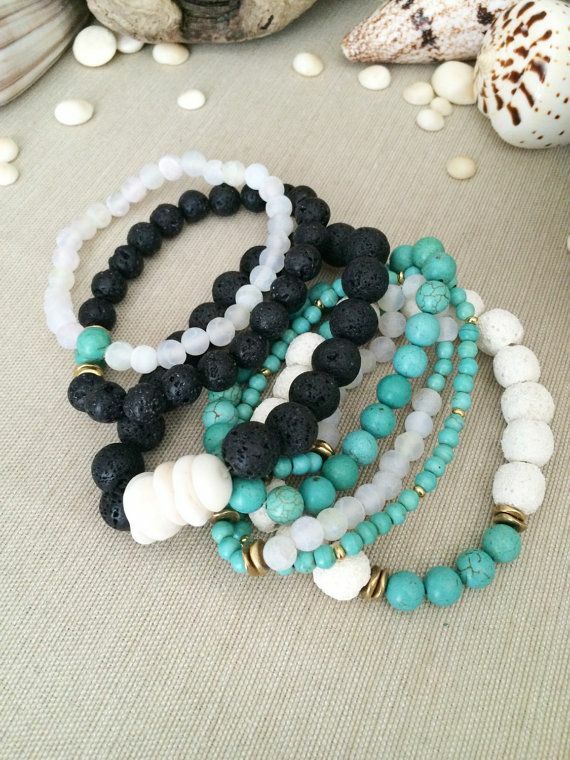 You don’t need an oversized or undersized bracelet. It has to be of the perfect size. You are advised to take measurements for your wrist to help in size considerations. Make an addition of one inch taking into consideration that threading of beads will eat up some space. A fitting bracelet should not slip out of your wrist. The prices for these beads vary from one type to another. Therefore, you must make due price consideration from all types of beads to note that which meets your budget. Don’t buy something that you will not be able to pay for but stick to your set budget. These beads have become affordable in the modern world giving you the guarantee of getting one that you can afford to pay for. You should not choose to use plastic beads for your jewelry project without making due considerations and researching well. Some of the information offered is misleading and will only lead you into frustrations. Do due diligence when choosing ideal plastic beads to work with and you will be free from frustrations. One of the key considerations is merits and demerits of using this type of beads. Will your choice be worthy it or it will not? That is what you should strive to determine in this consideration. Starting with merits, they are very cheap when compared to many other types like crystal and glass beads. You will spend very little money in owning these beads. They will be the ideal choice when you have a very tight budget. They are easy to use thus plastic beads will be good for those who are beginners in this sector. It will offer the best learning platform for beginners. On the downside, there are not many demerits that are associated with these beads but you should consider that as well. The coin has two sides thus put that in mind. They will not be attractive as other types and are very fragile thus can break easily. The fragility of plastic beads should not be a concern once you are mature enough to handle them professionally. When making purchase, pay more attention to merits over demerits. Shapes are the second thing that you must consider when buying plastic beads. You will need to have a shape that you are comfortable with and do not affect the flow of your appearance. Luckily, there are very many shapes in the market to choose one from. There are shapes of animals, stars, tubes, heart, letters and many more to give you enough options. You will get beads of every shape that you want so don’t limit your considerations in any way. Is color your main thing when choosing beads for your jewelry project? If yes then you are well sorted out in case you want to buy those made of plastic material. There are very many colors classified into bright and dull that you will get to make a choice from whenever looking to select ideal plastic beads in the market. You will have the freedom to choose what meets your requirements in the best way. If you are to combine different colors, make sure the combination is right. The place where you buy these beads equally matters a lot and you should not take that lightly. You must buy from a dealer whose material is original and has good market reputation. You should not engage a dealer who will give you headaches when it comes to shipping or even negotiating for a fair price deal. In short, there are some simple mistakes that people make when buying beads but you should not fall into the same trap. Be very careful not to end up frustrated after making wrong choices. 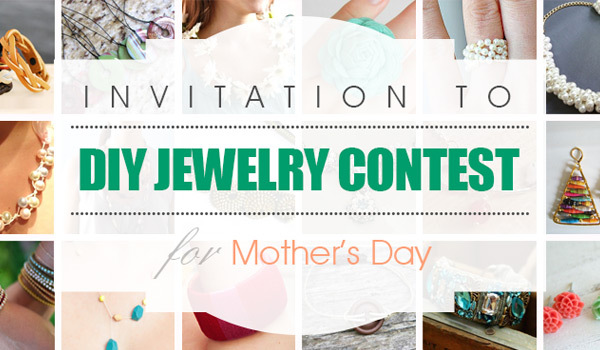 Can you imagine how easy it is today making jewelry? Is that something you could have anticipated few years back? The reality is that fashion industry has evolved big with the advent of modern technology. Today, we have all types of beads in the market including lava beads that very few people know about. As an individual, you need to know everything about this type of beads because they are the real deal. For starters, these beads are derived from basalt which is a natural rock. The material is light in weight and porous which are two qualities that make it ideal for jewelry making. Furthermore, basalt comes with holes and bubbles that play a critical role in its unique texture. That explains why you will never get lava beads that have similar appearances. They trace their origin back in the 19th century and have evolved big to date where they are a force to reckon with as far as jewelry and fashion industry is concerned. You might be wondering how these beads are formed but that is another piece of information that this article will inform you. It all starts with a volcanic eruption. That results in very high temperatures that cause rocks to melt. The molten rocks that come out solidify after getting to the surface. As a result, it leads to the formation of lava beads and they come in diverse shapes. You can choose the one that you want to satisfy your jewelry needs. Colors are also different and are mainly in three categories. Black, grey and brown are the notable colors for lava beads. Black is the most popular one among the three options and it will be good if you give it top priority in your considerations. Since they are made from natural material, these beads tend to be very abrasive. That explains why they are usually treated using paraffin wax to smoothen and make them ideal for jewelry making. You can even dye these beads in case you want them to have a different color. When you use lava beads, there will be a number of benefits to enjoy. The fact that they are light will be very welcome. Jewelry products like necklaces, earrings and bracelets are not good when weighty because they can become impossible to put on but these beads address that in their light weight. Also, your purchase is made easier by the fact that you can get the beads in different sizes, colors and shapes to choose what befits your jewelry project. There will be nothing to worry you. Are you aware that there is special significance attached to lava beads? Yes there are such significance’s that will inform your decision to make purchase. Strength and endurance are two things that lava material signifies and you will want to experience that with your beads. The durability of your beads will be assured which is something missing in several other materials available for jewelry making. 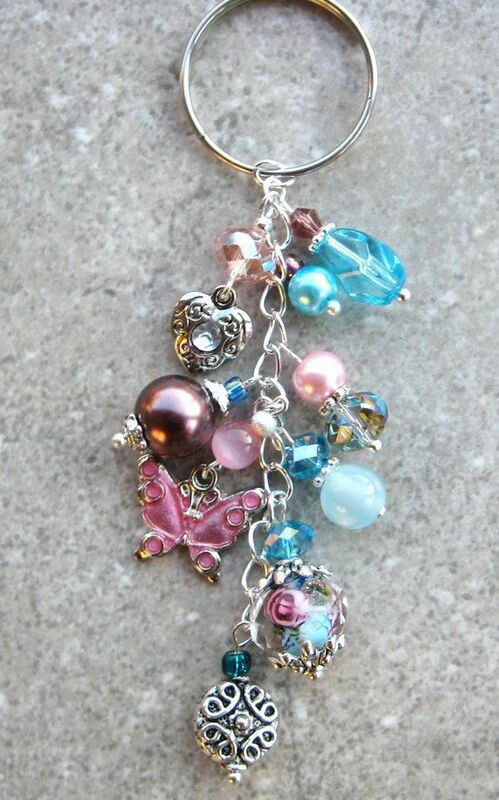 Recent times have seen beading become a very popular hobby for most people. The introduction of beads of different varieties has made it possible for people to try everything they can imagine and make fantastic creations. By using these beads, it is possible to design all sorts of jewelries such as earrings, rings, bracelets and necklaces. Glass beads are highly adorable and can be used for many different purposes than you can even imagine of. Depending on your creativity, you can use these beads to make some highly sophisticated jewelry items. It is needless to say that jewelry making is the most commonly known usage for glass beads and in fact, this use is what has made them so popular in recent times. Pieces of jewelry made with these types of beads are highly awesome and have the best looks that you can ever wish for. The beads can be used to make different types of jewelries ranging from bracelets to necklaces and everything else in between. The good thing with using these beads to make jewelry is that they are very easy to work with and their great versatility means that they have so many different uses. These days, the craft of crocheting has increasingly become popular and it is being adopted by many different people. Fortunately, there is no better way to do it than with glass beads and you can be assured of fantastic results. These beads are essentially known to give the items crocheted the elegance and uniqueness that you always desire. You can crochet many different objects and items such as handbags, caps, flower baskets, tote, teapots and cups and you can be certain that you will be thrilled with the end results. Use of glass beads to make or design wreaths is probably something that you have never though of but the truth of the matter is that this is one of the uses of these items. Once you have finished making the wreath with them, you can be sure and certain that it will appear great and lovely and the beads adds the much needed sparkle and shine to the creations. The beads are incredibly colorful and beautiful and you can be sure that they will make the wreath look at its best. 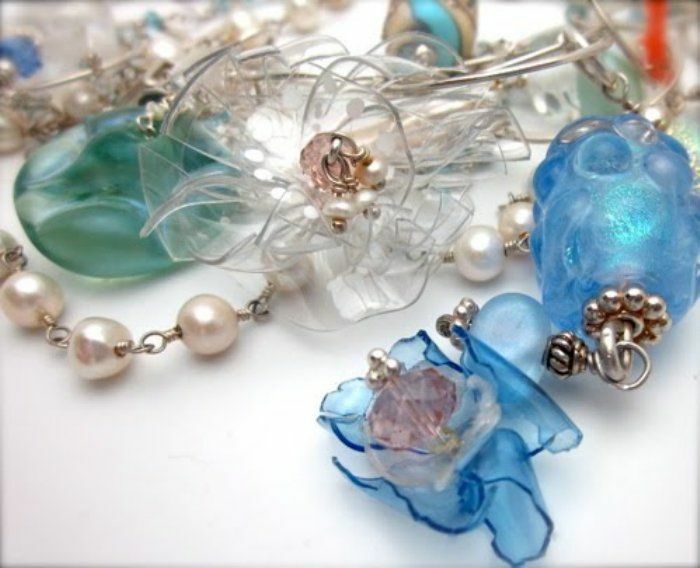 For those who engage in floral projects, glass beads are among the most ideal types of beads that you can ever use. In this regard, the incredibly beautiful beads need to be incorporated in the crafting and you can be sure that you will end up having one of the best creations that you can ever wish for. Most homes usually have flower vases that contain sand and river rock and are among the most beautiful things that you can ever set your eyes on. Through addition of different shapes and sizes of glass beads, you will make your floral project much more interesting and lovely. 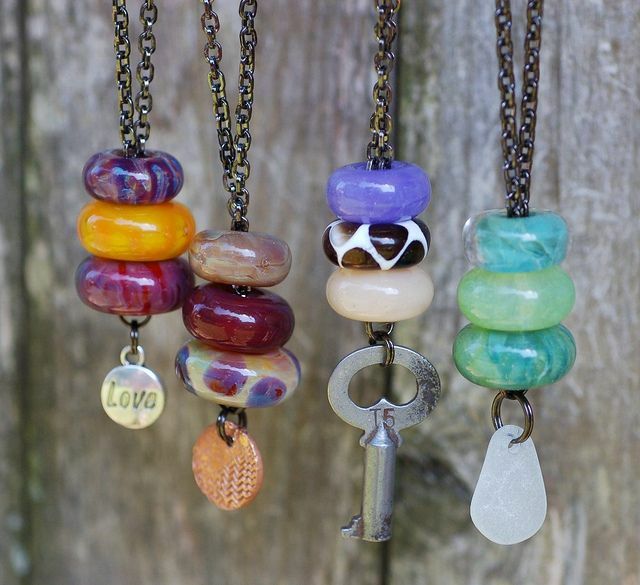 Wooden beads are some of the best because they are made from natural raw material. There is assured durability, aesthetic value and high quality compared to many other materials. The type of beads you have will depend on the type of natural wood used since they all have diverse qualities. The following are some of the options to look out for in the market. Bayong– this hardwood is commonly found in Philippines and has for many years been used to make beads. It has assured durability making it one of the best choices for jewelry making. Its red-brown natural color makes the beads more than appealing and it’s well complemented by the grain pattern. Graywood– this wood is good for making beads because it comes with lightweight as well as a smooth texture. Those are two highly desired qualities of beads that every buyer looks out for. Its grain is very tight and beads made of Graywood have a refined shine. You have more than a reason to consider it. Ebony– it is a hardwood that is grown in many parts of the world and good for making wooden beads. The tree has a tight grain that comes with a fine polish. Dark brown is its common color and the banded pattern makes it a desired raw material to consider for making beads. Magkuno– this tropical wood is very hard and that assures of durability when making wooden beads. Research has shown that Magkuno is the hardest of all tress found in the world thus its demand in the world of jewelry is very high. It is very rich in color with chocolate brown the most predominant. The texture of beads made from this wood is smooth and have a pleasant polish. Nangka– this wood is derived from a tree called Jackfruit and has been very useful in making beads for jewelry. Apart from beads, the wood has been diverse enough being used to make general furniture as well as musical instruments. Its main colors are golden brown and yellow brown but you will have the freedom of considering many others. When you come across beads made of Nangka, you will realize that they are smooth in texture, hard in quality and spot a slack wood grain. Palmwood– this wood is gotten from tress like date palms and coconut. The wood has a natural decoration thanks to the black grain markings. Patikan has been the mostly used Palmwood variety for making wooden beads because its markings are very clear and darker. The darkness of this wood depends on the age of the tree. Robles– this tropical hardwood is equally good for making beads and is known for growing very tall. It is good for jewelry because of its lightweight and its highly visible grains. It has an array of natural colors that include light and dark ones. Apart from these, there are other types of natural wood used for making wooden beads that you can as well consider. Make sure you know what to look for in making the final decision and cushion against wrong choices. 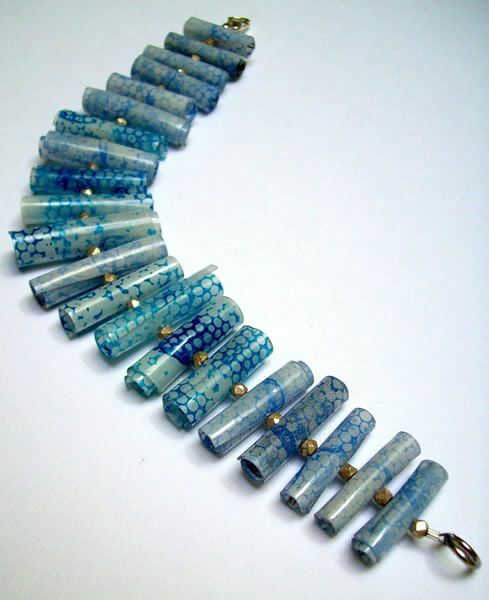 Acrylic beads have become a great choice of beads when it comes to jewelry making. In fact, if you are venturing into the world of designing jewelry, these are the best types of beads to launch your hobby with. There are so many reasons behind their increasing popularity as people have found that these beads can be used in various ways as highlighted here below. To start with, acrylic beads are preferred by many for their ability to lower down the manufacturing cost and this means that they are available at incredibly affordable prices. In fact, if you are buying these beads in wholesale, you will be thrilled to know that you will be able to obtain them affordably and without having to spend a fortune with it. The main advantage associated with it is that these beads are of low cost and this is what makes them such a highly attractive option when making jewelry. Compared to other types of beads such as crystal beads or glass beads, acrylic beads are known to be of light weight and this is yet another reason why you shouldn’t hesitate to opt for them. As such, they make such a great option when it comes to making jewelry pieces like bracelets and necklaces. Most people also love the fact that when temperatures get too high, these beads don’t get unbearably hot. So, during summer when you expose yourself to very high temperatures, you can be sure that these beads are going to stay awesomely cool thus making them a very comfortable choice to wear during such hot weather. Another major advantage of these acrylic beads is their great flexibility. In fact, you will be thrilled to know that you can form these beads into any kind of color or shape which you can imagine. Any crafter knows to well the importance of having a great choice of colors and shapes available at highly affordable prices as this certainly means that you can put your creativity to work. In addition, these beads are highly durable and are a suitable choice for kid’s projects also. The extremely versatility nature of acrylic beads means that you can be able to put them into a lot of uses when undertaking different craft making projects. For starters, you can use these beads to make some beautiful jewelry pieces and besides this, the beads are also used for a wide range of other projects like crafting, sewing and scrapbooking among others. These are among the most awesome types of beads to use for decorating gowns and clothing. So, when you are shopping for acrylic beads, you should first of all consider exactly how you intend to use them. 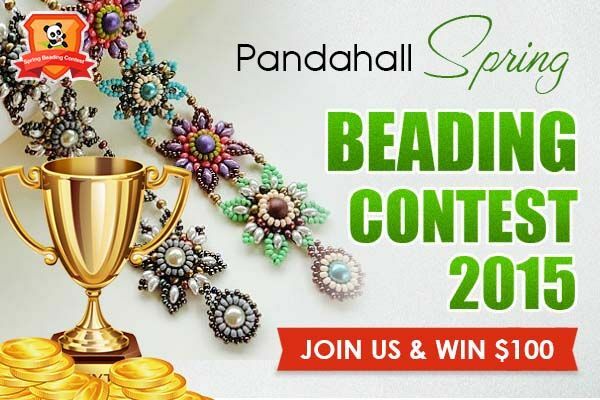 This will make it possible for you to choose the best size, type, shape and color of beads that you will buy. 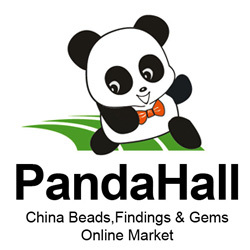 If you want to buy high quality beads without having to pay a fortune for them, Pandahall.com is the best site to visit to do your shopping.